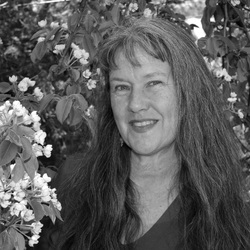 Jennifer McEwen has been practicing yoga since 1972, and teaching for over twenty years, since 1992. She is the founder of Om Sweet Aum Yoga Shala. Jennifer is a "teacher's teacher" who has inspired and taught both new and experienced students, as well as other yoga teachers in Idyllwild. Jennifer has practiced and studied intensively with many senior teachers from the Krishnamcharya lineage, which include the Iyengar, Ashtanga, and Vini schools of yoga. This, combined with Jennifer's decades of experience as a massage therapist, provides a well informed and integrated perception of embodiment with an emphasis on groundedness, breathing, vitality, and spaciousness.